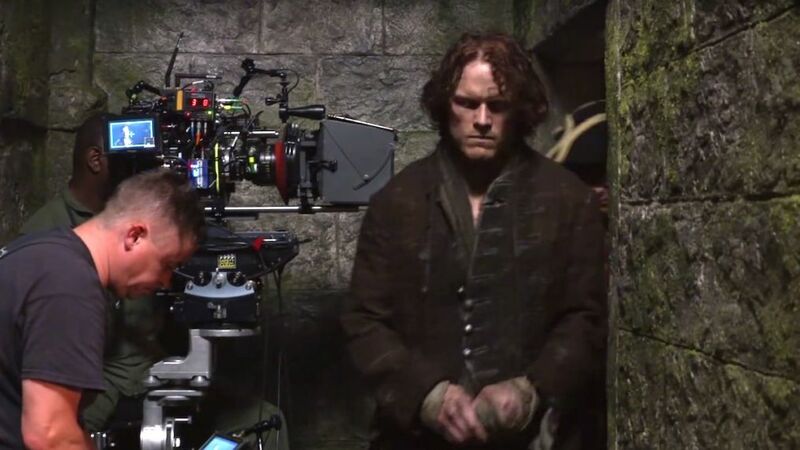 Outlander's third season was chock-full of heavy emotional moments — from Frank (Tobias Menzies) dying to Jamie (Sam Heughan) saying goodbye to his son Willie, the tears were definitely flowing. So, with that type of baggage, one might think there wouldn't be a lot of laugh-out-loud moments on set. Wrong! According to a new Season 3 gag reel, the cast was having a great time while filming. In Season 4, the Frasers start a new life in America. The reel is featured on the newly released Outlander Season 3 DVD from Sony Pictures Home Entertainment, and shows how everyone from Claire (Caitriona Balfe) and Lord John Grey (David Berry) to Roger Wakefield (Richard Rankin) broke character, forgot lines, and were caught acting goofy. Outlander headlines in your inbox as we publish them.